Qatar Airways’ operations to and from its Doha hub are running smoothly, with the vast majority of flights operating as scheduled, the airline has reported. 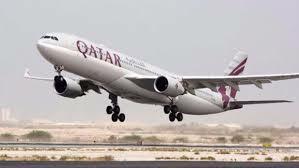 In the past week, the airline said it had flown approximately 1,200 flights between Doha and its network of more than 150 destinations around the globe, with 90 per cent of those flights departing within 15 minutes of their scheduled departure time. In light of the blockade, the airline said it has significantly increased the operations of its global call centre and social media to ensure concerned customers receive the best possible care, and has even extended its commercial policy to ensure greater flexibility for refunds and rebooking for any passengers whose flight is impacted by the recent travel bans. The airline has also introduced new functionality on Facebook to provide customers with flexible call-back options. The airline is widely recognised as offering the world’s best service and holds the title ‘Best Airline Staff Service in the Middle East’ as awarded by the customer-voted Skytrax awards. Qatar Airways’ new ‘First in Business’ seat, Qsuite, will be showcased to thousands of visitors at the Paris Air Show from 19–25 June before debuting on its first route, between Doha and London Heathrow, later this month. The Qsuite features the industry’s first-ever double bed available in Business Class, with privacy panels that stow away, allowing passengers in adjoining seats to create their own private room. Adjustable panels and movable TV monitors on the centre four seats allows colleagues, friends or families travelling together to transform their space into a private suite, allowing them to work, dine and socialise together.